Isabelle Melton has been nationally recognized as a distinguished finalist (1 of 2 from Montana) for the Prudential Spirit of Community Award. 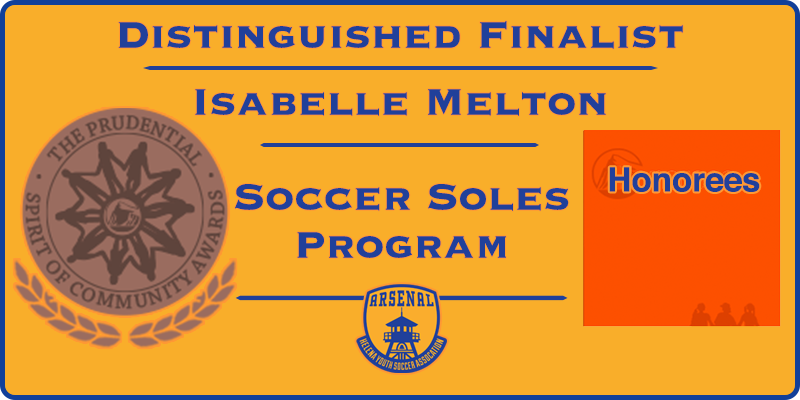 She was recognized for her work in creating and managing the Helena Youth Soccer Association's Soccer Soles program and for her time donated as a recreational coach for HYSA. She is one of only 234 distinguished finalists nationwide. She also received the President’s Volunteer Service Award for these activities as well. The program encourages citizens to live a life of service through presidential gratitude and national recognition.